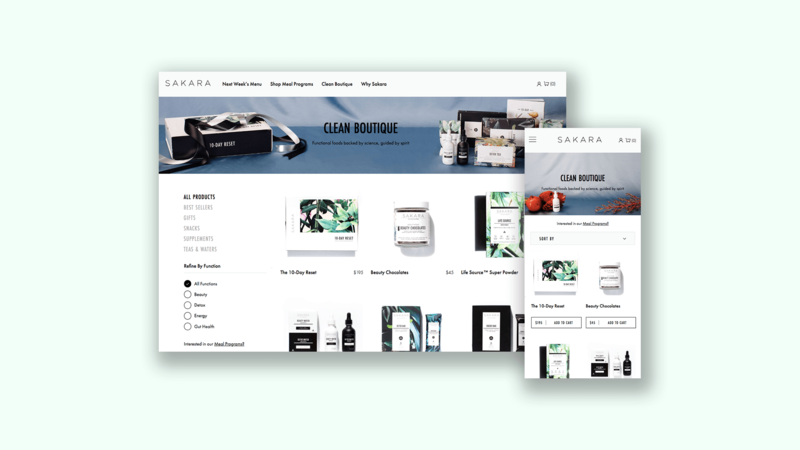 I was contacted by Sakara Life’s Creative Agency, Social Code, to redesign their online store. 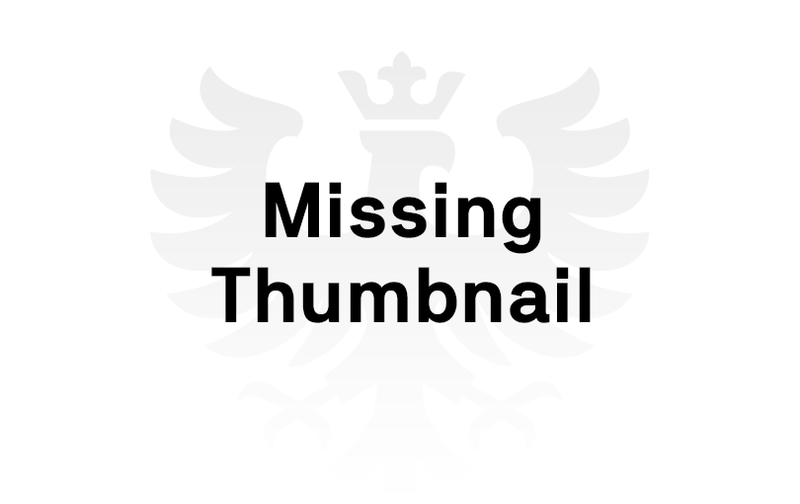 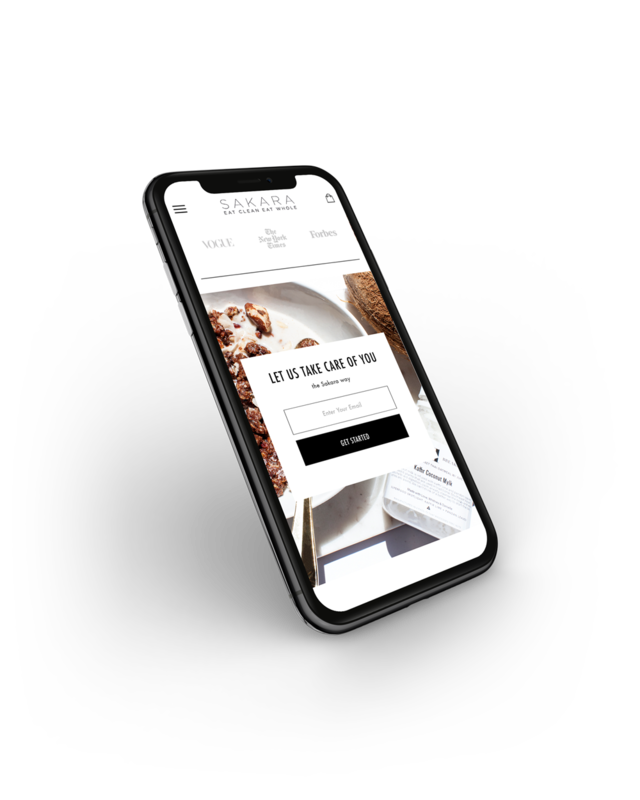 At the time, the site was hard to navigate, filled with clunky distracting hover animations and was not mobile-friendly. 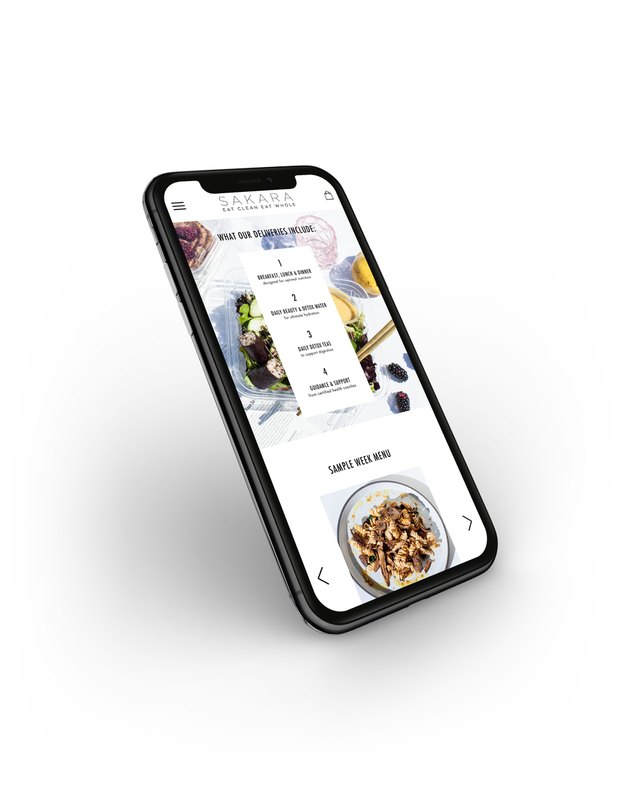 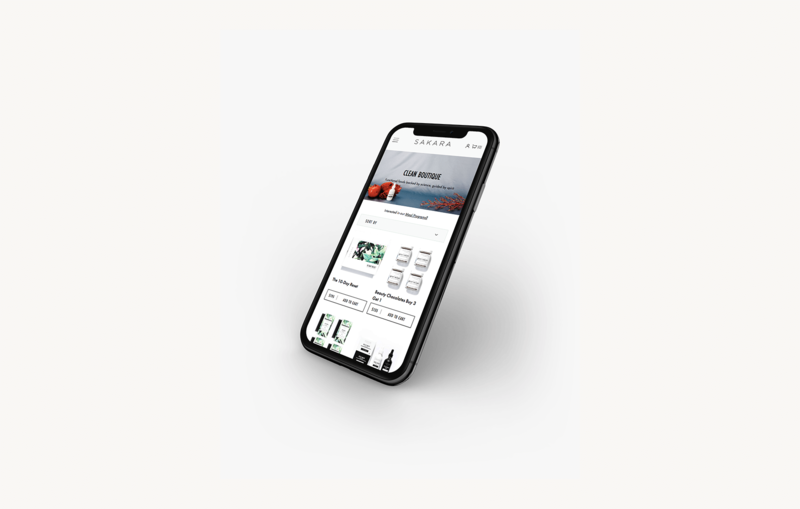 Starting from wireframes, I worked along side of Social Code to launch an online shopping experience featuring key changes such as streamlined navigation, updated product filters, and an overall fresher and more visually powerful aesthetic.